On 11 February 2019, the four satellites launched from the European spaceport in Kourou, French Guiana, on 25 July 2018, were put into service following the completion of the relevant commissioning activities. This means that the Galileo constellation is now providing services with 22 satellites. “This is another important milestone for Galileo and the European Union,” said Carlo des Dorides, European GNSS Agency (GSA) executive director. 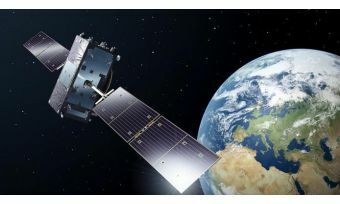 Thanks to the addition of four more satellites to the Galileo constellation, users will be able to reap the high accuracy benefits of multi-constellation capacity, but it goes further than that, according to Rodrigo da Costa, Galileo Services Programme Manager at the GSA. The 10th Galileo launch was the second for which the GSA was responsible for the mission’s Early Orbit Phase (EOP) and In-Orbit Testing (IOT) phase, overseeing Spaceopal - a joint venture between Telespazio and DLR-GfR - in its role as Galileo Service Operator (GSOp). The EOP and IOT are one of the most important phases of a space mission during which the satellite is launched, put into the correct orbit and the satellite platform and payload elements are gradually switched on and tested. A huge number of end users stand to benefit from the improved coverage offered by the latest satellites. It is only just over two years since Galileo Initial Services were declared in December 2016, but already over 600 million devices around the world are using Galileo. To make Europeans more aware of how they are already benefitting from Galileo services, the European Union has launched the Accuracy Matters campaign. The new campaign includes a series of short video clips that give an entertaining glimpse of everyday situations where ‘Accuracy Matters’ to anyone using location data on their smartphones. The videos can be viewed on a dedicated YouTube channel. For those who want to keep track of Galileo-enabled devices serving a variety of needs as they become available, check out: usegalileo.eu.